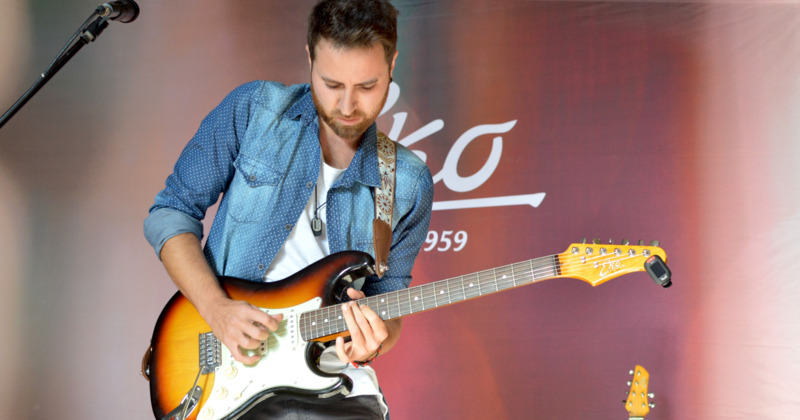 “Eko guitars are part of my live and studio gear. This instruments have a own personality and character. I always bring them with me to afford my job experiences." Elia participated in several workshops by Steve Morse, Steve vai, Tony MacAlpine and Massimo Varini. Elia also took part as a demonstrator at the music Fair Musikmesse in Frankfurt and apperead in several TV programs like x Factor Italy. He plays with Remida, Whole tone trio, Nevruz (X factor 2011), Nouvèrt, Cosmic sheep, Luca Anceschi, Rock up, Codice Rock, Mud and much more. Today he works ad a guitarist in recording studios / live concerts and teaches guitar in some music school.